A list of the best iPhone and iPad applications to make some real cash using your iDevices. Is it true that you can make money with iOS applications? 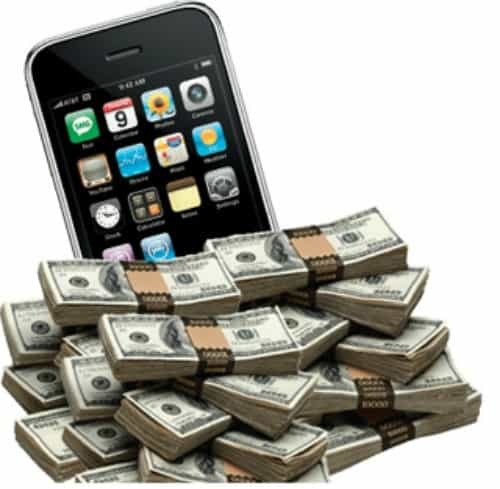 How to earn money with iPhone and iPad? To answer these questions, we decided to check the App Store of Apple, found some worthy applications and tested them personally. Do you know what we have found? Continue reading to find the answer. If you are reading this article, it is because you probably want to understand how to find serious and reliable applications that allow you to pay and earn with an iPhone or iPad. This is possible by installing and using some worthy apps to make money. In fact, you have several applications to monetize it. Here we made a list of the best iPhone apps that make you money. It is up to you to choose the right ones and download them to your smartphone. Let’s start. App to earn money with your mobile. Perk is one of the programs that distribute most important prizes in store for mobile devices. The app is free, just download and install it, and then use it to earn points when you buy, search, watch videos or share stuff with your friends. When you have enough points you can consult a catalog and request awards ranging from money, to gift cards or discounts on tickets. Perk has greatly increased its popularity, there are now more than 3,000 shops that have joined the program and allow you to earn points by buying their products. Who does not love to be paid to eat? Well, Easy Shift allows you to do so. In practice you will be a kind of market researcher, you’ll have to go to the premises and review them, check their prices and provide information, and you will be paid via PayPal to your survey. Foap is a service for amateur photographers. It allows you to sell your shots to companies. Upload your photos, (minimum size 2048×1536 pixels), build a personal portfolio of images and start selling photos to thousands of buyers. Interested companies may well find them and buy them. You earn 5 Euros for each photo sold. The polls have always been a very popular market research, as sometimes boring and uncomfortable. Survey.com is an app that allows to take surveys directly from your iPhone and make some real cash. Many companies offer surveys through this app and the user must answer a series of questions giving opinions, which will allow him to accumulate money. Upon reaching the figure of € 7.5, in two days you will receive payment via Paypal, a very simple way to earn some extra money. Do you like the music and go to many concerts and always manage to get under the stage? This app is for you. Take good pictures, load them on Clashot and expect the buyer. Clashot’s mission is to help you to start earning money for your creative works and to make sure that your best photos can be found by those users who are looking for them, and ready to pay for them. If you have tried these apps, write us a comment and tell us how it went. If you have questions or remarks do not hesitate to comment, as always we will be happy to answer you.